Team USA Advances in the WBC! What a game tonight. USA took on Puerto Rico. The winner advances to the next round, the loser gets eliminated. It came down to the bottom of the 9th, but the US rallied for the win. I had my special rally cap on to help the guys out. It was a nail biter. Congrats guys! Mom, Dad and I headed back to Arizona yesterday for some more spring training fun. Dad’s helping me edit our pics and I’ll try to write a post about it tomorrow. We had a great time. For now, it’s time for a bottle and then I’m off to bed. Good night. We’re heading back to Arizona tomorrow to catch another Spring Training game. This time I managed to get tickets to see the Chicago White Sox vs. Kansas City Royals. I’m looking forward to watching two teams from the American League that son’t come to Colorado very often. Plus, the game is in a brand new, fancy stadium that just opened a few weeks ago. I’m really excited. Over in the WBC, Team USA is up 9-3 against the Netherlands. Congrats to the Netherlands on a great WBC. You stunned us all, especially the Dominicans. Nice job Team USA. You guys looked sharp tonight. Mom was working tonight, but Dad and I hung out and watched the USA take on Venezuela in the WBC. The Venezuelans came out ready to go and shook up the US pitchers. It wasn’t all bad though. Chris Iannetta came up big with a HUGE 2 run home run. He hit it up towards the upper deck of the dome. It was a doozy. Nice job Chris, you continue to amaze us! Good luck to Team USA in round 2. Tonight, we’re watching the Aussies as they take on Mexico. Dad spent almost two months in Australia after college exploring the land (and water) down under, so we’re cheering for them. So here’s a special mail call, from a player on the Australian team. It’s from Rich Thompson. He’s an up and coming pitcher for the AL West Champion Angels. Good luck tonight Mr. Thompson and thanks for signing my card! We just watched an incredible game between the Netherlands and the Dominican Republic. The winner of this game got to move on to the 2nd round of the World Baseball Classic. The Dominicans came with an all star lineup and were the heavy favorites. The Netherlands were the big underdogs. I was cheering for the Netherlands. I’ll admit, I had mixed feelings on this one. Ubaldo Jimenez was the starting pitcher tonight for the DR. He plays for the Rockies and is one of our top pitchers in the rotation. Ubaldo looked sharp and set a WBC record for strikeouts in a game. He pitched 4 innings and struckout 10. Despite Ubaldo, Willy Taveras and a slew of other great players on the Dominican team, I really wanted to see the Neterlands pull an upset. The score was 0-0 going into the 11th inning. Jose Reyes scored in the top of the 11th to give the Dominicans a 1-0 lead. But the Netherlands, fought back and in the bottom of the 11th, they not only tied the game at 1-1, but with two outs, got another run and won the game! What an exciting game! Congrats guys. I’ll be watching again in Round Two. Sorry to the Dominican players, but I bet your teams will be glad to have you back in Spring Training. Team USA Comes Up Big! Who watched Team USA in the WBC last night? They looked sharp and came up big in a 15 – 6 win over Venezuela. 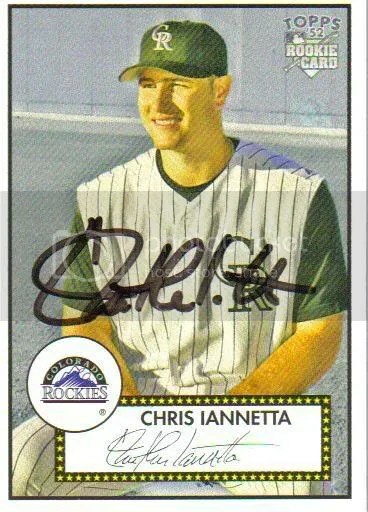 My buddy Chris Iannetta had a huge night, going 2 for 3 with 4 RBI’s. Nice job Chris! With their two wins, they’ve secured a spot in Round Two. Great job guys! 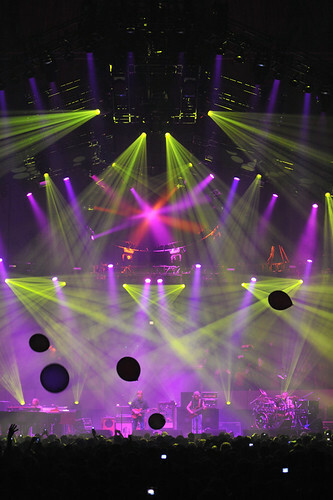 This has nothing to do with baseball, but Dad said one of his favorite bands got back together for a series of shows over the weekend in Hampton, VA. It’s some group called Phish. I’ve never heard these guys, but it looks like they put on a crazy light show. I guess it makes up for their bad spelling. The World Baseball Classic (WBC for those in “the know”) has officially begun. This is my first time seeing this tournament, but I’m already hooked. I’m pulling for Team USA. Mom and I watched the game yesterday against Canada and it was a good one. Dad was stuck at work and tried to catch the score every now and then on MLB.com I filled him in when he got home. LaTroy Hawkins got the win. I’m sure you knew he used to be a Rockie. I’m also pulling for the underdogs whenever Team USA isn’t playing. The Netherlands pulling ahead of the Dominican Republic was a shocker. We tuned in for Italy vs. Venezuela last night. Italy looked solid for the first 4 innings, but their bullpen couldn’t hold on. Poor Jason Grilli did not pitch well. We’re getting ready for USA vs. Venezuela, which starts in a few minutes. I hear Chris Iannetta will be behind home plate tonight. Can’t wait! Not much else to report. It’s been kind of a lazy day for us. Mom has been sick, so she’s been lounging and taking it easy. Dad ran some errands and took me for a walk down to the park when he got home. I saw geese, ducks, dogs and people out enjoying the nice weather. We had fun. It’s in the 60’s today. Hard to believe we had snow flurries yesterday. Anyway, game starts in 2 min. Got to get a fresh bottle and clean diaper. Talk to you later!